The United States is a vast land and, as a result, most people plan their trips within a given region, be it the East Coast, the South west, the beaches of Florida or California, or outlying regions like Hawaii and Alaska. There are plenty of options for travellers with incredible sights sprinkled across the country. The USA is home to some of the most spectacular scenery in the world and some of the most recognizable icons on the globe. For anyone in the enviable position of having unlimited time and resources, these are the top attractions to include on your itinerary. Day 1 Welcome to The United States of America. On arrival at New York JFK airport, proceed to the hotel (on your own) where you will be received by Bonton Tour Manager and check in. In the evening, enjoy a delicious Indian Dinner. Overnight in New York. Day 2 Photo Stop at the Iconic Statue of Liberty. Professionally Guided City tour of Manhattan. Visit to the 102nd floor of the One World Observatory of One World Trade Center in New York. 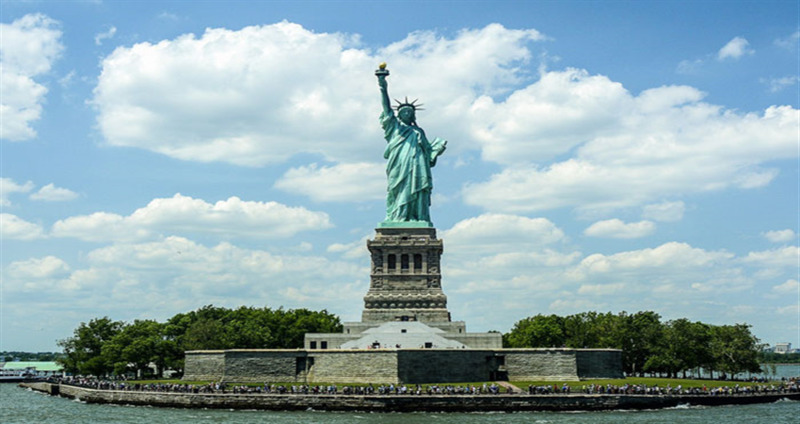 After an American Breakfast at your hotel, get set as you board your boat cruise to the Scenic Liberty Island for a close up view of The Statue of Liberty. The Copper coated statue welcomes you to the new world of Democracy, Free?dom & Friendliness. After an Indian Lunch, proceed on a city tour with a professional guide of the Big Apple overlook?ing the Brooklyn and Manhattan Bridges, The Headquarter of United Nations overlooking the East River, Trump Towers - the most expensive residential building in United States, China Town - the third largest Chinese establishment in the world outside China, Central Park - 843 acres of greeneries supplying oxygen to New York city, Rockefeller Complex - the 19 building Commercial complex connected under?ground by a single concourse, Broadway - the Theatre and musical district and the Times Square - The Heart of the Entertainment District. There are million things to experience in New York City, but only one way to truly see them all – an experience unlike any other. Start at One World Observato?ry at One World Trade Center. Ascend to the 102nd floor of the tallest building in the Western Hemisphere in less than sixty seconds. 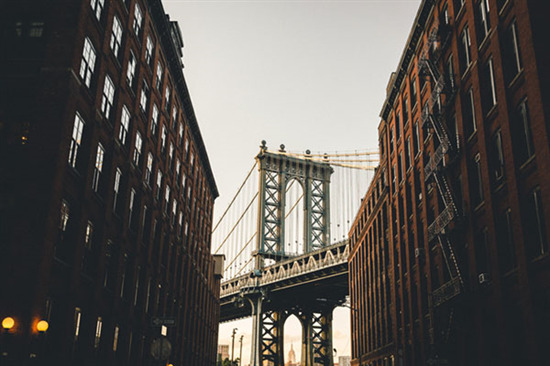 Then look towards the horizon and feel the city’s invincible spirit. 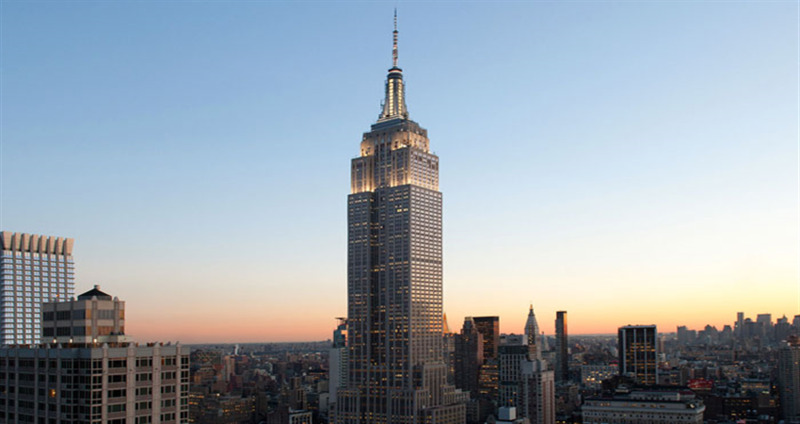 Take in the iconic sights, surrounding waters and panoramic views of the skyline and beyond. After a day of fun, get set to enjoy a delicious Indian Dinner. Overnight in New York. Day 3 City Tour of Washington D.C. with a local guide. Visit Smithsonian Air & Space Museum. Later proceed to Big Apple – New York. Enroute stop at Hersheys Chocolate World. After an American Breakfast check out & drive to Washington D.C. Enjoy lunch. Enroute stop at Philadelphia. See the Liberty Bell Centre and also see the independent hall. Later drive to Washington D.C. and check in to your hotel. This evening enjoy indian dinner at at resturant. Overnight in Washington D.C.
Day 4 City Tour of Washington D.C. with a local guide. Visit Smithsonian Air & Space Museum. Later proceed to Big Apple – New York. Enroute stop at Hersheys Chocolate World. After an American Breakfast enjoy an informative tour of this historic and beautiful city with your local guide. See the Capitol - the U.S. Congress building, the White House - the Official residence of the President of The Unite States, the Lincoln Memorial - the steps where Martin Luther King Jr. gave his famous speech, Korean Memorial - dedicated to the Korean War where India had been a member of the U.N. Army, Martin Luther King Jr. Memorial – the full size statue and his famous quotes. After lunch, proceed to the Smithsonian Institution - The World’s Largest Museum Complex, which includes The National Air and Space Museum. Touch the piece of Moon Rock; see the actual cockpit of the Boeing 747 and you may also buy the special pen used by astronauts. Overnight in Washington D.C.
Day 5 Onto Niagara Falls. In the evening experience an Illuminated Niagara Falls by night. After an American Breakfast. Sit back and relax in your coach as we drive on a scenic road to the Niagara Falls. Enroute enjoy Lunch. 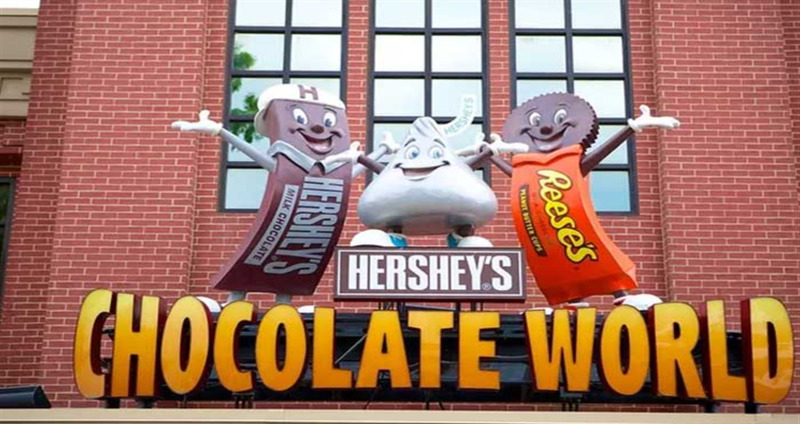 Later visit Hershey’s Chocolate World. Go back to your childhood days where you sit in a trolley and learn about the different Chocolate making processes. Continue your drive to Niagara Falls. Tonight enjoy an Indian Dinner we take you for a tour of the Niagara Falls being illuminated in rainbow colours and the mist acting as colourful skies. Overnight in Niagara Falls/Buffalo. Day 6 Adventure personified Maid of The Mist and Cave of the Winds. See the spectacular Niagara Falls from close quarters and Cave of the Winds - Adventure Walk. After an American Breakfast, adventure awaits you to enjoy the Maid of The Mist which gives you a breath taking view of this majestic waterfall beyond comparison. Also take a journey 175ft underground by elevator to walk through the Cave of the Winds and get drenched under the Bridal Veil Falls. After an Indian Lunch, free time to explore the city on your own. Enjoy an Indian Dinner. Overnight in Niagara Falls/Buffalo. Day 7 Proceed to Las Vegas - the amazing gambling cap?ital of the world. Evening is to explore the glamorous hotels of Las Vegas. Illuminated Fremont Street Experience and Bellagio Musical Fountain Show. After an American Breakfast, proceed to the Buffalo airport for your flight to Las Vegas - the gambling capital of the world. Enjoy Lunch. On arrival, check into your hotel. Rest of the evening is free for you to get dressed up and explore the stunning hotels of Las Vegas and indulge yourself in ultimate luxury. Enjoy a delicious Indian Dinner. After dinner, get an experience of the Fremont Street the three blocks of streets covered with LED canopy displaying scintillating effects of lights and sounds. Also see the Musical Fountain show at the Bellagio with a brilliant mix of water, light and sound effects. Overnight in Las Vegas. Day 8 Chance to Experience an aerial visit over the majestic Grand Canyon. This morning you get a CHANCE for a once-in-a-lifetime experience on an aerial tour over the Grand Canyon.You will be surprised by the vastness of this nature‘s creation - Grand Canyon one of the natural wonders of the world created for thousands of years by the course of river Colorado, where the canyon goes as deep as one mile. 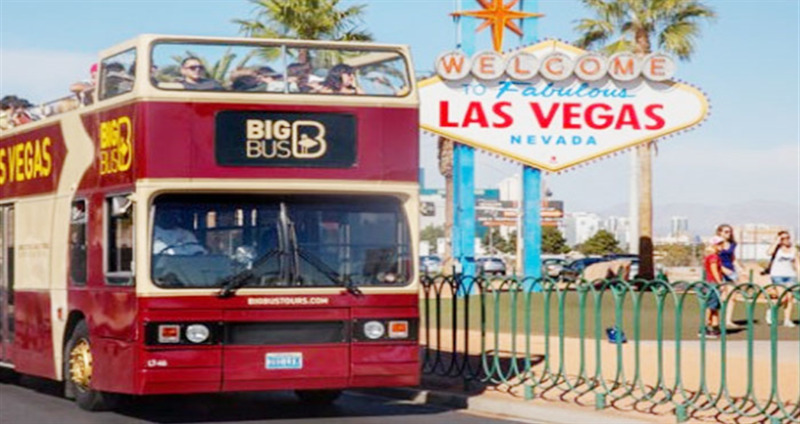 OR day at your leisure to either shop or get yourself entertained at one of the many shows on the strip. Tonight relish an Indian Dinner. Overnight in Las Vegas. Day 9 Drive to Los Angeles. Later in the evening enjoy a city tour of Los Angeles. After an American Breakfast, check out and proceed to Los Angeles. Enroute enjoy Lunch. Later we take you on memo?rable tour to visit to the main streets of Hollywood - Hollywood Boulevard where you get the pulse of this city. Take a photo stop at the Dolby Theatre - the venue of Oscars and walk along the Hollywood Walk of Fame. Later, proceed for an orientation tour of Sunset Boulevard, Doheny Drive - the place where Marilyn Monroe lived. Beverly Hills - house of the who‘s who of Hollywood, Rodeo Drive one of the most expensive shopping street in United States. Tonight enjoy an Indian Dinner. Overnight in Los Angeles. Day 10 Experience Hollywood first hand at the Universal Studios - The world of movies, magic and illusions. Later in the evening enjoy a memorable Limousine ride. After an American Breakfast get set to become a part of the Hollywood magic as you visit the Universal Studios which has remained true to its roots of immersing guests, in the awe-inspiring world of movie-making magic. Take a memo?rable Tour on its once celebrated Glamour Trams which has now evolved to become the world-famous Studio Tour. It is a hallmark attraction of an authentic movie and television studio motivated into that elusive world by three compelling words: lights, camera, and action. 2015 has introduced two spectacular attractions debuting as part of the 50th anni?versary. Springfield an immersive land surrounding The Simp?sons Ride and Fast & Furious Supercharged, based on the blockbuster film series, as the grand finale to the celebrated Studio Tour. Enjoy a packed Lunch. Marvel at the new Despicable Me Minion Mayhem attraction and Transform?ers 3D ride, feel the thrills of the world‘s scariest 84-ft drop at the Jurassic Park roller coaster, plunge into total darkness as you face fireballs, scarab beetles, and an army of warrior mummies on a Psychological thrill ride in Revenge of The Mummy. Live to richness when you take a memorable Limousine ride to feel the pulse of the city. Tonight enjoy a delicious Dinner at an Indian restaurant. Overnight in Los Angeles. Day 11 City tour of San Francisco with a professional guide. 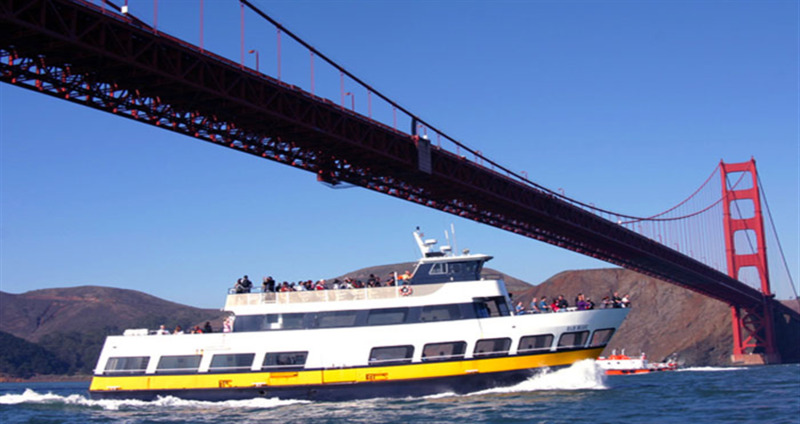 Take the magnificent Cruise on San Francisco Bay. Later drive to the city of Fresno. Today after an American Breakfast, check out and drive to San Francisco. Enroute stop at the beautiful dutch village of Solvang. Enjoy some time to explore this beautiful european town. Enjoy lunch. Continue your drive to the Bay area. Enjoy delecious indian dinner. Check in to your hotel. Overnight in San Francisco. Day 12 City tour of San Francisco with a professional guide. Take the magnificent Cruise on San Francisco Bay. Today after an American Breakfast, get set for a city tour with a professional guide to Ghirardelli Square- place of the beginning of the Ghirardelli Chocolates, Park Presidio dedi?cated to the veterans and Nob Hill area for one of the most expensive residential homes, Castro district, Market Street, Union Square the most happening place of the city. Later, we see the Lombard Street - The most crooked street in the world with eight hairpin curves made to decrease the gradi?ent of the road and also stop for a photo of the iconic Golden Gate Bridge representing one of the world‘s best engineering excellence, drive through the 1000 acre Golden Gate Park - the cradle of nature and freshness. After lunch, proceed to the Bay area and take a spectacu?lar cruise on the San Francisco Bay. Sail past the San Francis?co skyline and the Maritime National Park. Sail directly under the Golden Gate Bridge and around the infamous Island of Alcatraz, the then inescapable prison. Explore Fishermans Wharf, one of the oldest areas of the Bay City. This evening enjoy some time for last minute shopping on your own. Enjoy a delicious Indian Dinner. Overnight in San Francisco. After Breakfast check out and proceed to SFO airport (on your own) We trust your holiday was safe, fun - filled and memorable. We would love to hear from you. Do share your much valued suggestions with us. 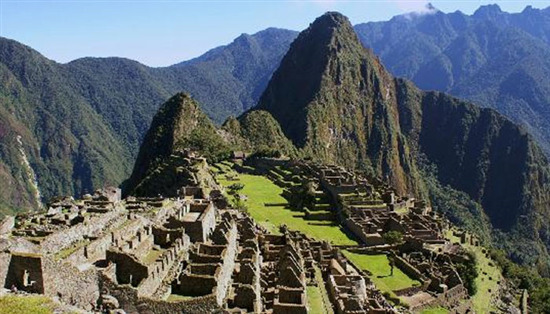 South America tourism is heating up. Travellers are flocking towards the equator for a glimpse at a stunning patchwork of beautiful landscapes with snow-capped mountains, spectacular jungles, and awe-inspiring deserts.